An organization is only as strong as the volunteers who support it. You don’t have to be a famous golfer or basketball player hosting a fabulous benefit to make a difference in an abandoned Boxer’s life. But if you are one or know one, we welcome your help wholeheartedly! Our core volunteers work hard on planning our major fundraising events which provide us with critical funding. The more people we have helping FBR, the more Boxers we can help. This is where you come in. By expanding our fundraising efforts to you, our grass roots supporters, we increase exposure to our organization and potential new funding. This is accomplished by simply opening the door to opportunity by hosting a fundraising event benefiting FBR. Of course we always appreciate your donations, and could not operate without them. See our Donations page for ways to donate and or sponsor dogs. You can turn your wish of helping FBR into a reality by introducing a few more people to our cause, imagine the wonderful results. 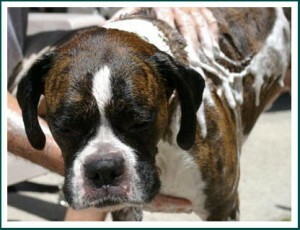 You can host or organize a number of easy fundraisers which would help fund our efforts to save Boxer lives. FBR provides you with the basic marketing tools and ideas to get your very own fundraiser benefiting FBR off the ground. Feel free to be as creative as you like in coming up with your own fundraising event benefiting FBR. For questions or to discuss ideas please email us to donations@flbr.org. so why not turn this chore into a fun event. Many community restaurants will participate in a one night fundraiser which invites supporters of a cause to come in and eat at their establishment and a percentage of the nights profits will be donated. This is a win-win as the restaurant gets added exposure and clients and FBR would get a percentage of the night’s profits. All you have to do is ask. Restaurants like Chili’s participate frequently in programs like this. Everyone could benefit from a good spring cleaning every once in a while. Gather together your old stuff; enlist friends or neighbors to bring over their old stuff. Put up some signs or place an add in your local free paper and watch your old junk turn into new lives for FBR Boxers. How fun, to get together some friends, some soap and water and enlist a local service station or school to allow you to use their facility. You can post flyers, make posters and place an ad in a local free paper. You have fun, cars are cleaned and Boxers are saved. Who does not like cookies, cakes and homemade treats? You could enlist your group to all bake something and sell it at a local event or market. 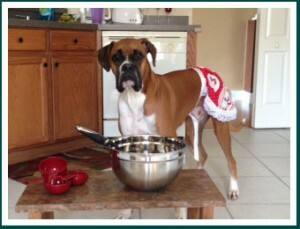 You could consider making both human and canine baked goods for sale. 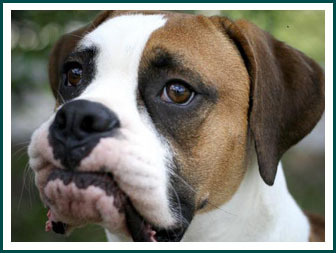 You could also enlist people who come to the sale to donate dog treats for the FBR Boxers.